The story of the 9/11 terrorist attacks the World Trade Center demands respect, honesty, and care since almost three thousand innocent people lost their lives and thousands of others suffer to this day missing their loved ones. The suffering inside the burning buildings was so intense that many were forced to jump, not seeking death, but a few seconds more of life from one last breath of air. Some tried to improvise parachutes with curtains, but these were torn. These were not suicides but desperate fights for life. The Wingdings font was misunderstood since before the terrorist attacks on the WTC happened. Although the original purpose of each symbol in the Wingdings set of characters was for them to work separately, and to add individually a touch of creativity, some users started to find unusual “hidden messages” and meanings by creating words and sentences and translating them into Wingdings to see what pictures would show. This carries certain unforeseen events. Let’s see some examples. Type in NYC in capital letters. See the result in the Wingdings display box. 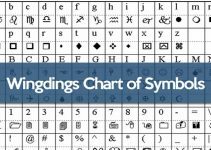 If you look at the Wingdings font chart, you will notice that the capital N is a skull with crossed bones, the capital Y is a Star of David (predominantly a Jewish symbol) and the capital letter C is a “thumbs up” hand. 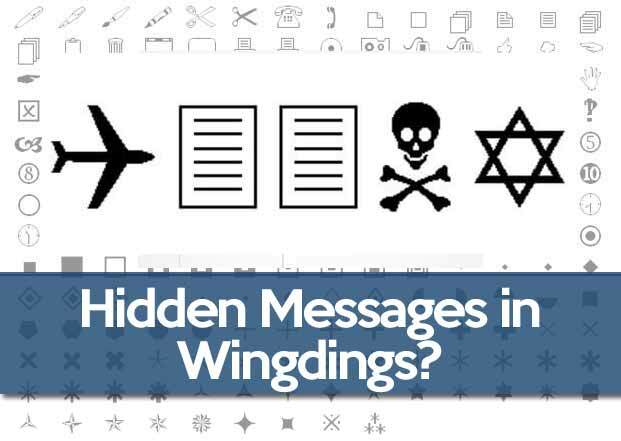 This was first discovered around 1992, and many conspiracy theorists pointed out that the creators of Wingdings were sending a hidden message against Jewish people from New York City. The font developers quickly denied it and claimed that such hidden messages were nothing more than coincidences in the conversion process. Microsoft never considered that users would read the character box as letters to be combined, only as separate symbols. 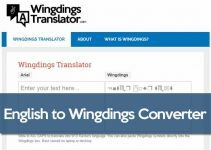 You can also try this using the Wingdings font converter, or try it on your own text processor by typing Q33 NY and changing the default font to Wingdings. The result is what seems to be a plane crashing into the WTC, along with the same skull and Star of David, representing New York City. However, in fact, the WTC was not located in such Quadra 33 nor Q33 was a related flight number (the two flights that collided with the towers were American Airlines Flight 11 and United Flight 175.) Q33 is only the number of a bus line that runs nearby, which demonstrates how the comparison is being forced. Over the past 12 years, a number of Web sites and mailing lists have given considerable attention to a frightening array of graphic characters that pops up when users type in capital letters the acronym NYC using a Word font called Wingdings. The result is the images of a skull with crossed bones, a Star of David and a thumb pointing upwards. Based on this, some have come to believe that the program contains an intentional anti-Semitic message. 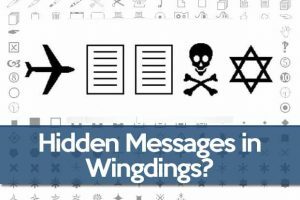 Kimberly Kuresman said that Microsoft actually considered changing the Wingdings font in the early 1990s when the first concerns about an anti-Semitic message emerged. 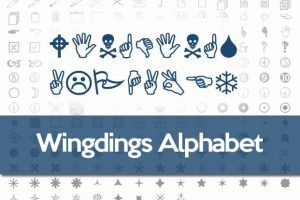 But the company decided that changing the relationship between letters and symbols would bring many technical difficulties, including the possibility that original Wingdings users could not transfer their documents to the new version. When Microsoft developed a new graphics font, Webdings, in 1997, according to Kimberly, typographers had trouble making sure the images corresponding to the acronym NYC were nice. Users who type these three letters in the new font are greeted with an eye, a heart and the silhouette of a city (which sounds like “I love New York”). Don Hosek, a typographer an, editor of the Serif typography magazine, said print creators often do not pay much attention to how certain images correspond to letters on the keyboard. “There are so many symbols and combinations that it is almost inevitable to find something sinister,” he said. While it is common for designers to include one or two deliberate messages – usually something innocent, such as a logo – one can safely say that the series of images in the Wingdings font was generated at random. 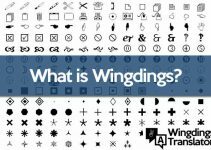 Charles and Kris declined to comment on the relationship between letters and symbols, leaving all issues in the hands of Microsoft, who bought Wingdings before launching Windows 3.1. 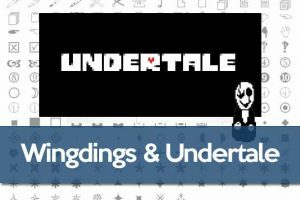 The Wingdings font contains 220 images that correspond to uppercase and lowercase letters, numbers, and keyboard symbols. It was created in order to display common use symbols. Along with images such as smiling faces, flags and mailboxes, it also contains religious symbols – among them the cross, the star of David, and the crescent moon and star that symbolize Islam. Kimberly speculates that it would certainly be possible for someone with plenty of time available to enter letters and symbols until they discover something that could be interpreted as a hate message. Microsoft said the “tower” images in the Q33 NY conspiracy theory were created to represent written sheets of paper.